heather & olive: amethyst cake. Can you believe this cake??? I stumbled across it on Buzzfeed, and it was made by Intricate Icings Cake Design in Denver, CO. 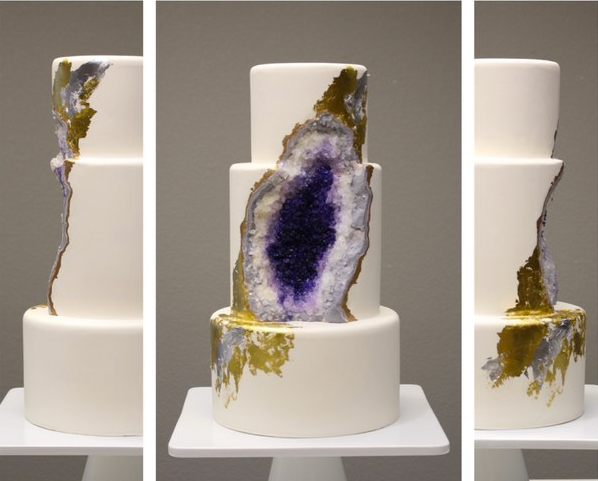 The baker used rock candy to create the stone, and it's so unique and gorgeous and lifelike. I'm obsessed. Beautiful! You should make one for yourself for your birthday. Or Easter. Or Mother's Day. Or any day. You can do it!